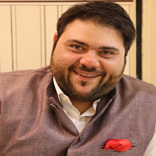 An exclusive interaction with Riyaaz Amlani, Owner- Impresario Entertainment and President NRAI. Riyaaz Amlani is known for bringing the concept of coffee culture in India. He has also contributed a lot in the revival of the Hauz Khas Village. Talking to Restaurant India, he shares his experience in the food business along with taking NRAI to the next level. You moved the value chain from mocha to fine dine to casual dine. How do you see the sector growing in India? Today, restaurants are doing a great job in all the formats. There is no single format left to enjoy your meal. Many a times you demand a burger, the other time you demand something very casual and often you prefer going for a lunch or dinner taking the fine dining experience. So, we would see growth in every format in the restaurant sector. PEs are more keen on sharing opportunity with casual dine format. What is the reason? Earlier PEs were more comfortable sharing opportunities with QSRs, but the development in West has shown that there is maximum growth in the fast casual segment. PEs think same for the Indian restaurant business and casual dining is their preferred choice. But development could be seen in all the segments. I think, PEs are going to look at manageable restaurant chains as they look for attaining scale, and fine dining scale is a little bit harder. Therefore, they do not move in that direction. Hence, PEs are today going from QSR to fast casuals to casuals. You have brought the concept of working cafes in India. What is the USP? People today do not need any office environment to work and technology is everywhere. I believe that there is certainly a growth on your own level. We are in cafe business for 14 years and they are all social now. People have always used cafes as very social business, they were using it for meetings, but now they are using it to sit, write a letter, type their thoughts out and make the presentation to clients. This shows that how people are interacting in cafes. Is the profit same of the working cafe to that of a normal cafe? A restaurant has 100 covers on a day and on 100 covers you are able to do four rotations. From morning to night, one person sits for one hour. You have empty seats, so why not utilise for working people in cafes. The battle is for customers watch not his wallet. NRAI has been contributing a lot for restaurant fraternity. What will be your contribution to the organisation? During my tenure, the goal would be definitely to increase the membership base. Currently, we have all the chains with us. But I want to reach out to the small restaurants which really need our help. My responsibility would be to take the membership base from 1,200 to 5,000. What strategy you would apply to persuade small restaurants to take membership? I think the perception of NRAI is most similar to that of the restaurant industry. To do well, one has to be friendly and welcoming. So the idea would be to make the brand of NRAI more accessible, leveraging social media and engagement at ground level.